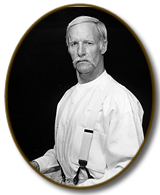 Wyatt Earp has been portraying his famous relative in his one-man play called "Wyatt Earp: A Life on The Frontier" since 1996 which won an AriZoni award and has over 1020 performances, and was written by his wife Terry Tafoya Earp who is an award-winning Arizona playwright. A Life on The Frontier has had performances throughout the United States, Canada, and Europe along with many performances aboard cruise ships. In November 2000, Wyatt performed for the American Studies Program at the University in Budapest Hungary, in which the Cultural Attaché had attended. Wyatt is retired from the New Your Life Insurance Company where he worked as an agent for forty years. He is also a charter member of "The Arizona Gunfighters", a historical reenactment troupe and a member of Park Central Toastmasters since 1980. His athletic endeavors include the completion of two Hawaiian Iron man Triathlons, numerous marathons, 10k's and long distance swimming events including the "Escape from Alcatraz". Wyatt also serves on the Phoenix Downtown YMCA board of directors as well as coaches the Y's Master's swim program. In addition, he is the race director for the YMCA Half-Marathon, which is the oldest foot race in Arizona. Wyatt also actively volunteers at the Arizona Spinal Injury Association. He currently resides in Phoenix, Arizona with a cat named Josh, two German Sheppard’s Xena, Zack along with Terry’s friend and Nurse; Danelle Gerischer. Terry Tafoya Earp is a Playwright/Producer/Actress who began her writing career in 1988 and has since written 38 plays and 2 documentaries, many of which have received both local and national recognition. In 1996 she wrote her first historical-based play "Wyatt Earp: A Life on the Frontier" which won AriZoni award and has been performed 722 time throughout the United States, Canada and Europe. The plays that Terry has written, and both Wyatt and Terry star in are, historical-based plays and are a part of the Tombstone Saga. Copyright © 2004-2014 Wyatt Earp and On The Spot Productions - All Rights Reserved! Site design and graphics by - DL Dawg Graphic Werks - Mesa, Az.